Trending at $3.95Trending price is based on prices over last 90 days. Trending at $3.73Trending price is based on prices over last 90 days. Trending at $3.97Trending price is based on prices over last 90 days. Trending at $9.65Trending price is based on prices over last 90 days. 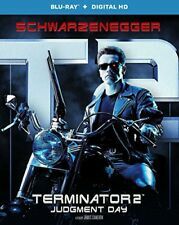 TERMINATOR 2 JUDGEMENT DAY (Blu Ray) Buy more save! Trending at $22.88Trending price is based on prices over last 90 days.